Provided survey, engineering and permitting services relative to the replacement of 410 linear feet of timber bulkhead with a new proposed epoxy coated steel bulkhead. Permits obtained by LKMA include NYSDEC, US Army Corps, and NYS Department of State. Topographic survey, permitting, bulkhead structural analysis and site design were all performed by LKMA staff. 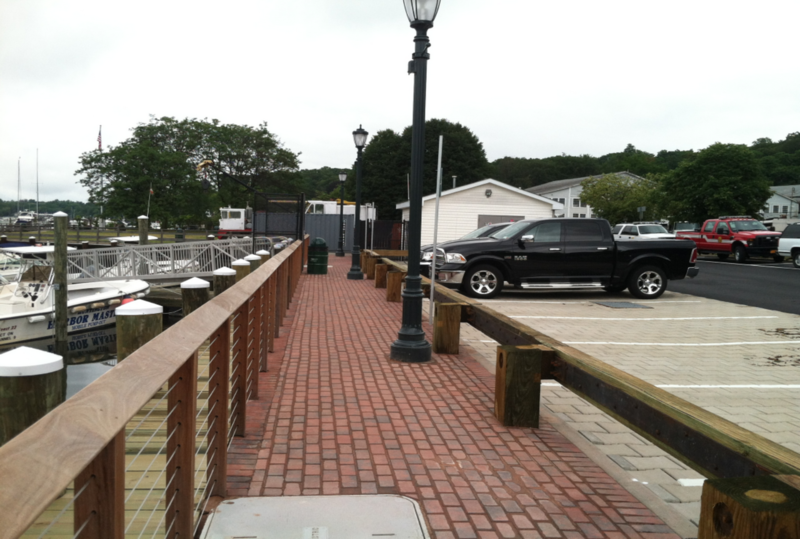 Project included bulkhead replacement, parking lot restoration, utility restoration to marina, architectural lighting, and stormwater quality improvements. Green infrastructure in the form of porous pavers was implemented to capture and infiltrate the stormwater runoff from the parking lot prior.